For those people who wanted to rush out against the players inside the house, well this weapon should help you out! NOTE: This weapon cannot be drop after you die so that other players cant pick it up. *The weapon is designed to penetrate against all type of walls including trees and rocks. This weapon can only penetrate 1 wall at a time. 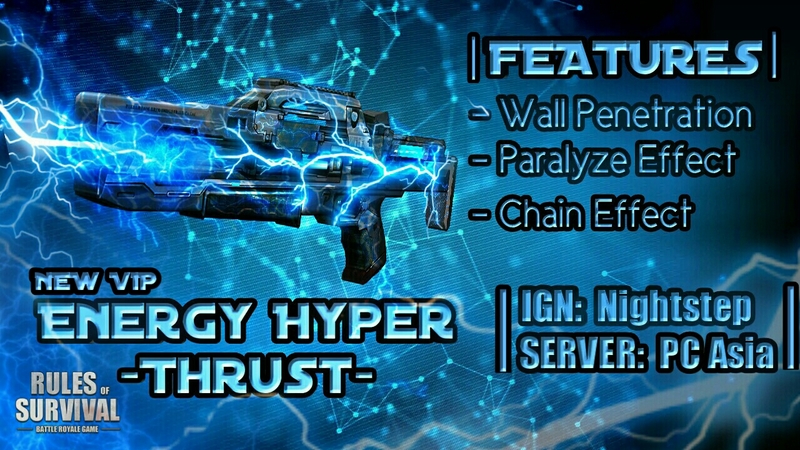 *The weapon is basically charged with tons of electric and energy to paralyzed the body and it will stun the enemies for 3 seconds, also He/She is not able to use any kind of His/Her weapon. *If you are being outnumbered by an enemy, then this weapon will be your choice. Everytime you shot an enemy and if they have a team on their side, the damage of the weapon can also effect their surroundings and it can also paralyzed the targets. This can hit for up to 5 enemies. This is very overpowered in my opinion and then the game will turn P2W(Pay to win) It looks quite nice but like I said this is the most overpowered weapon suggestion I have ever seen but good luck. It will be more cool, most likely if that gun is so op maybe 1% chance to get it in the map hehehe.